NEW ORLEANS—The Louisiana National Guard is continuing to assist the Department of Agriculture and Forestry with its aerial firefighting operations in the Vivian area, Sept. 9, combating wildfires threatening 30 structures. Yesterday, at Gov. 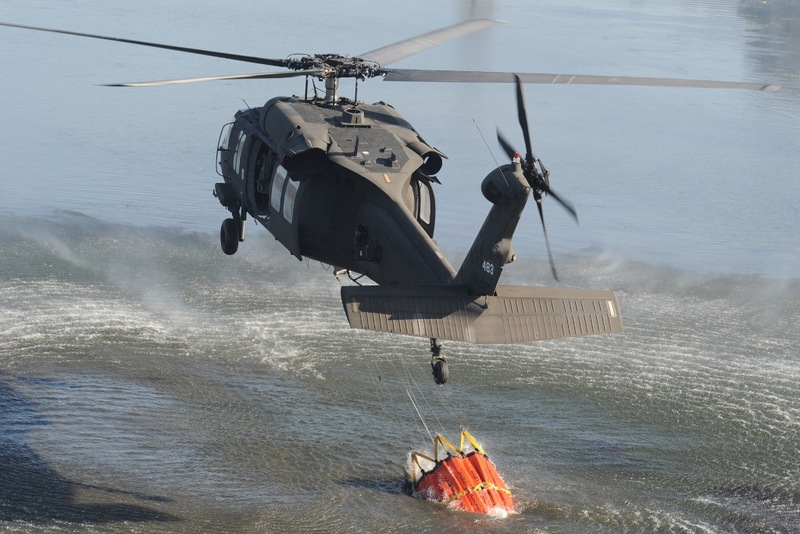 Bobby Jindal’s direction, the LANG deployed four UH-60 Black Hawk helicopters to begin water-drop operations using helibuckets—large buckets carrying water suspended by cable. 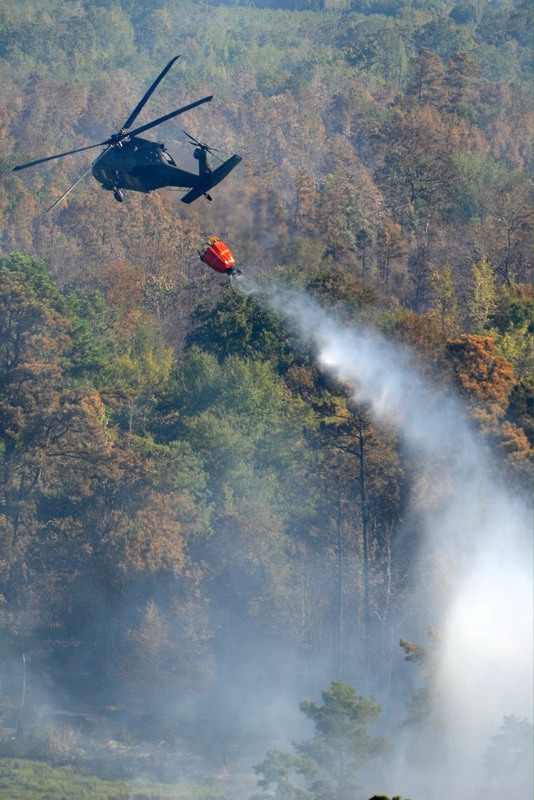 As of this morning, aviators dropped more than 148 buckets, totaling more than 78,000 gallons of water, on hot spots to assist the LDAF with the suppression of the wild fires. The LANG’s previous firefighting mission in Caddo Parish ended Sept. 7 due to the containment of the fire and successful suppression of hot spots. 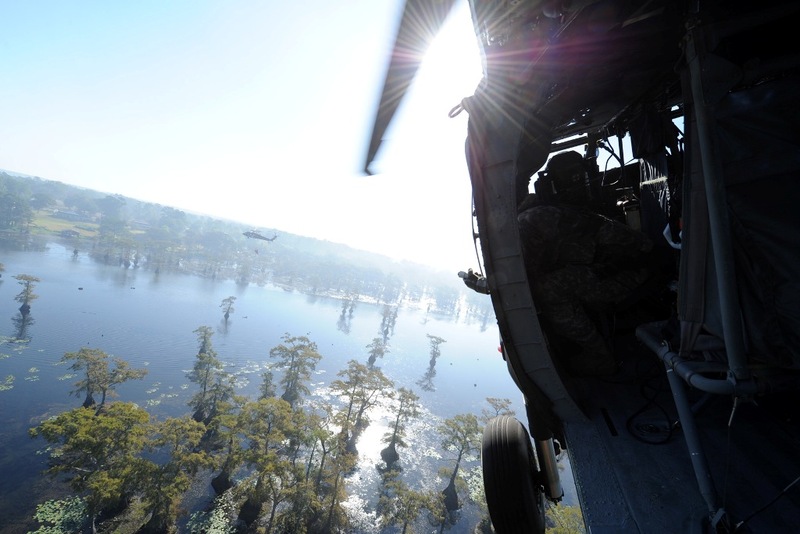 Louisiana Army National Guard aviators dropped more than 830 buckets of water on those fires, totaling more than 440,000 gallons of water from Caddo Lake.